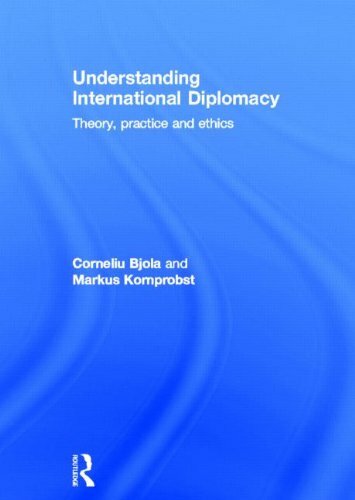 [PDF] Understanding International Diplomacy: Theory, Practice and Ethics | Free eBooks Download - EBOOKEE! Description: This book provides a comprehensive new introduction to the study of international diplomacy, covering both theory and practice. The text summarises and discusses the major trends in the field of diplomacy, developing an innovative analytical toolbox for understanding diplomacy not as a collection of practices or a set of historical traditions, but as a form of institutionalised communication through which authorised representatives produce, manage and distribute public goods. The book: traces the evolution of diplomacy from its beginnings in ancient Egypt, Greece and China to our current age of global diplomacy examines theoretical explanations about how diplomats take decisions, make relations and shape the world discusses normative approaches to how diplomacy ought to adapt itself to the twenty-first century, help remake states and assist the peaceful evolution of international order. In sum, Understanding International Diplomacy provides an up-to-date, accessible and authoritative overview of how diplomacy works and ought to work in a globalising world. This new textbook is essential reading for students of international diplomacy, and highly recommended for students of crisis negotiation, international organisations, foreign policy and international relations in general. No comments for "[PDF] Understanding International Diplomacy: Theory, Practice and Ethics".